MEMS, Medical, Solar, Photonics, IR sensors, RF amplifiers, Analog and Digital, we do it all. Send us your design in any format and we can create photomask ready GDSII data. Data Conversion done right. Conversion between GDSII, DXF, OASIS, CIF, Image files (TIFF, BMP), Gerber and Mebes, all fully checked with plots. Take advantage of our experience, connections and the convenience of ordering photomasks through Digidat, Inc. We will ensure that you get the correct photomask that fits your job. Reverse engineering of photomasks - using our DigiRestore process we can accurately regenerate GDSII data from photomasks. Our services are based around you. We offer advanced data services and photomasks for standard layouts as well as emerging technologies that do not fit the usual IC/foundry model, such as MEMS, Medical, RF, Power, IOT, Encoders, Opto-Electronics, CGH lenses, test devices and many others. We can create a mask to test a variety of different sized and arranged contacts, gates, photonic lines etc. This can take a long time to layout manually. We would automate this process making it faster, more reliable and less expensive to create. If you have your data as an algorithm, Excel file, binary bitmap or AutoCAD, we will write a custom program to read and generate GDSII data that it is photomask ready. We can create large data, 100 million dots are no problem. Multi-GB files are no problem. We can translate any DXF file. There are many rules you should follow when drawing data for photomasks but often the rules are not followed creating problems such as data-on-data, self-intersecting polygons, zero width lines etc. We have a suite of custom programs that can fix all these errors. Digidat is an efficient, cost effective and reliable source for semiconductor data services and photomasks. As data experts and photomask suppliers, our customers have found our availability and support to be well beyond what they expected. Digidat, Inc. was founded in 2001, our customers include Established Semiconductor Companies as well as Start-Ups, Universities, Research Facilities and Government Agencies. Many of our customers are unfamiliar with the necessary tools, jargon and data preparation necessary for the production of photomasks, whereas, many are accustomed to the whole process. We are proud of the fact that we provide a cost effective and professional level of service that makes sense. Whether you are working on a small or large project, Digidat, Inc. will save you money by completing your design to photomask without the need for you to buy expensive software licenses, powerful computers or the need to hire a full-time layout engineer. We can commit dedicated resources to work on your project and, with our expertise in layout, data conversion and automation, will save you many hours of CAD time. On the journey from design to wafer everything has to be perfect. The final result is dependent on getting every detail correct. With Digidat you are assured that we will use our over 50 years of experience of working on more than 1000 projects to get it right first time. Most start-ups won't want to invest in the software, hardware, time and personnel necessary to take their design to photomask. Because these companies are doing research and development, their design ideas are new and can't easily be modelled. Digidat can provide all the support you need to get your ideas onto silicon. It is often necessary for an established semiconductor company to out-source layout or design work. Whether they simply don't have the man hours or their design path is too well defined for a particular project, Digidat can provide the resources necessary to complete the project. 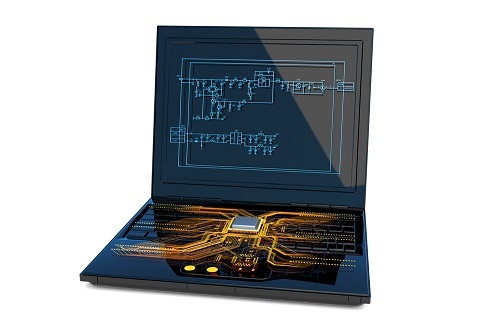 Digidat has worked with many university students to ensure that their designs meet the stringent standards necessary to get a working photomask. Photomask terminology can be misleading and confusing, at Digidat we help lead the student through the photomask process and provide clear plots of what the final plates will look like.